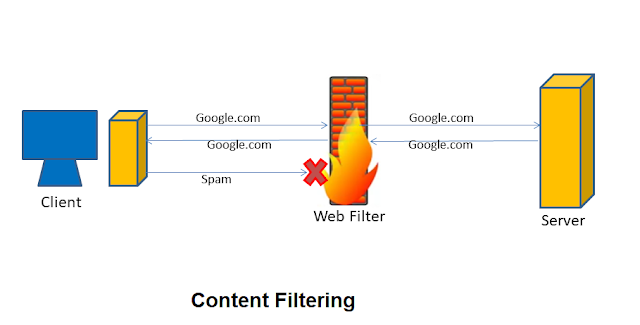 Web content filtering is a very useful method to restrict access to any harmful link or website on the Web. Content filtering can block access to certain websites like; gambling websites, pornographic websites, drugs and child abuse sites, malware sites or links, which may contain viruses or harmful links. Also, by using web content filtering you can mark any un-authenticate or spam website, and it will alert you every time when you access any marked spam website. In web content filtering you need to set some rules that can restrict/limit access to any website. And these rules of restricting web content can be applied at various privilege levels. An organization can restrict their employees to access certain content. A school can divide the accessing limit between the students and their teachers. A cyber cafe manager can restrict access to spam websites for their user. Parents can restrict access to certain websites for their child. Even a person(user) can set restrictions or filter to certain websites for his own personal use to avoid accidentally opening of spam links. There are various web content filtering tools are used. Browser based filters are the most light weight inbuilt feature of any web browser. Sometimes it might requires a browser extension for filtering websites. Email based filtering is a technique where a bag of words are used to filter unauthenticated/unauthorized/spam emails. Bayesian filter is one of the most popular email filtering tool used today. DNS based filtering done by many tools like Open DNS. Where filter is applied to lookup of domains which not satisfy certain conditions. There are also other content filtering methods available like ISP-based filtering, client-side filtering, network filtering or search engine based filtering. But URL filtering is still widely used today as one of the popular content filtering tool. Web content filtering becomes very much helpful to block spam, adware; computer viruses, malware, Trojan horse and spyware. Also, those web content filtering tools are used as a time control software which specifies how much time a user can browse a certain Website. There are so many content filtering tools available on the internet like; K9, Dansgurdian, OpenDNS, Squid guard/ Squid, Hosts File and etc. Remember, Web Content Filtering is a technique that helps you to filter certain harmful websites. But you should aware of the fact that as the web is increasing day by day, so neither any hardware nor any software can assure of 100% safety from all the harmful websites.